German tuners ABT Sportsline give the Audi A6 Avant some serious boosts under the hood in their new package dubbed the ABT AS6 Avant. ABT Sportsline has just revealed their latest creation on the S6 Avant, dubbed the ABT AS6 Avant. Based on the C7-bodied Audi A6 Avant, ABT&apos;s version receives many of the same upgrades as they previously revealed on their ABT A6 Sedan. 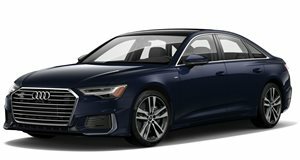 Unlike the sedan, however, the AS6 Avant features a supercharged 3.0-liter TFSI V6 engine that produces an output of 420 horses, a power increase of 10hp over the sedan version. Under the hood, the ABT AS6 Avant offers three different power upgrade options. The standard A6 3.0-liter TDI that goes from 204hp to 240hp, (quite a significant upgrade), and the more powerful 245hp diesel receives 55 additional ponies to increase the total to an even 300hp. Finally, the 3.0-liter TFSI which has been dubbed ABT&apos;s "POWER" ECU program receives an incredible 120 extra horses to bump the total to 420hp. The 3.0-liter TFSI-powered ABT AS6 Avant can accelerate from 0-62 mph in 5 seconds flat. The exterior of the ABT AS6 Avant receives the standard ABT Sportsline treatment, which includes new front and rear spoilers, side skirts and rear skirt that have all been upgraded. ABT says that the main feature is the rear spoiler and rear apron set with four exhaust pipes. Rounding out the package is the option of ABT&apos;s "DR" design wheels, which are available in 18, 19 or 20-inch sizes. Pricing for the ABT AS6 Avant is not yet available.